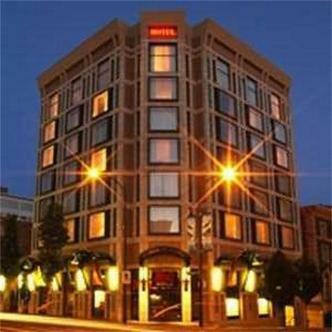 An extraordinarily convenient location only steps from Victoria's popular Inner Harbour area. Elegant rooms, furnishings, d?cor and atmosphere infused with an unmistakable European elegance. Remarkably attentive personal service that immediately transports you from feeling like a guest, to feeling like welcome friend. Everywhere where you look an unexpected touch. Fresh flowers and fruit in the lobby, Aveda products in your bathroom, gourmet coffee, tea and spring water in your room, crisp linens turned down nightly to welcome you to a restful sleep. Complimentary European Continental Breakfast each morning. Bathed in natural light from floor to ceiling windows that overlook downtown Victoria and the waterfront, rooms at The Magnolia could be accurately described as havens. All 63 rooms feature floor to-ceiling windows, which can be opened, large crown moldings and custom designed furniture that exemplifies timeless elegance. Sumptuous two-poster beds are elegantly dressed in warm duvets and feather pillows. Executive Rooms feature gas fireplaces.Opulent bathrooms feature marble counters and floors, oval sink, walk-in glass showers and deep soaker tubs for the ultimate in bathing and relaxation. Aveda creams, soaps, balms, shampoos and conditioners are provided to pamper our guests. Corporate travelers will enjoy hi-speed Internet, large desks and two-line phones with private voicemail.Spa Magnolia embodies the world-famous Aveda holistic approach that merges ancient wisdom with modern science to create an integrated path to well being and health. A fine selection of victuals and libations are always on the menu at Hugo's Grill and Hugo's Brewhouse.